Mercury in Aquarius is sextile Jupiter in Sagittarius (February 3 – February 7). Mercury brings news and talk, while Jupiter brings wealth and prosperous advancement. The money flows where our attention goes. Communicating our knowledge (Mercury in Aquarius) brings opportunities and the potential for success (the sextile aspect) in typical Sagittarian endeavors such as fitness, travel and philosophy. Venus enters Capricorn (February 3 – March 1) bringing out an attraction for the staunch and ardent duty of accomplishing goals as well as a love of predictability. This type of expression creates stable ground for the development of relationships, and the general course of affections will be oriented towards making impressions, with a hard and ambitious drive towards providing well for loved ones. New Moon in Aquarius on February 4 is a good time to begin new social and philanthropic endeavors, and to attain innovative knowledge by learning something new about ourselves or our ever changing world. Moods created by this New Moon may be bold or daring, with a flair for experimenting with life. This is the time to open up to new feelings and greater comprehension of science and technology and of these changing times, adding to our power. Mercury in Aquarius sextile Mars in Aries (February 7 – February 10) brings out opportunities which can be received, recognized, communicated and acted upon. It’s an advantageous time to apply one’s word with a full backing of action for a very favorable outcome. Aries: The New Moon on Monday invites new beginnings and positive changes not just with your friends and in your social life, but also with your future – with your hopes and dreams. This makes now an ideal time to communicate your vision with others. While it may be time to march to your own drumbeat and cast off your limitations, you might get further if you join forces with others. Use this week to connect rather than disconnect. By all means, be assertive and then put your best foot forward, gather your tribe and follow your passion. Taurus: The New Moon in the success and achievement area of your chart on Monday signals new beginnings, change and forward movement. Now is the time to communicate any thoughts and ideas that will enable you to make progress. If it is appropriate to make a change and employ a new attitude, then do so, for your success now depends on how positive and constructive you can be. Communication is a key theme this week, which may involve talking with your superiors or people in authority to get your ideas across or share important information. Start as you mean to go on in your professional life by making it your mission to leave the past behind and embark on new pathways. Gemini: The New Moon on February 4 casts an adventurous glow over the week ahead making this an opportune time to push out of your comfort zone and try something new. The New Moon also brings a sense of possibility and optimism so what previously seemed despondent now appears more positive. By exploring new territory, whether physically (through travel, new places, and people) or mentally (via study, ideas and beliefs), you will find yourself in a pace of growing potential, so it may be a good idea to say yes to whatever opportunities come your way. Cancer: The New Moon is the opportune time to make friends with your demons, particularly if they’re the sort who hold you back with negative or fear-mongering voices There are so many reasons why we don’t do the things we plan, but this week, you’re in a position to feel the fear and do it anyway. Although initially it might not be easy, expect to end the week feeling stronger and more aware with a sense of rejuvenation. “Transformation” is your keyword, so don’t be afraid to let go of something if it can’t be reworked into something better. Leo: Relationships are your theme as a New Moon on Monday makes this the perfect week to make some changes or start afresh in a partnership. You could get to have an important conversation that clears the air or helps you understand each other a little more which in turn could create a bridge where previously there could have been a chasm. Since this is a time for new beginnings in your relationships, it is advisable to leave behind anything that holds you back, and no matter what is going on in your life remember: “Affection is responsible for nine-tenth of whatever solid and durable happiness there is in our lives” (C. S. Lewis). Virgo: If your life isn’t going quite the way you’d like it to or if there’s room for improvement, it may be helpful to look at your daily routines to see whether you can simplify things. To create better health and well-being, for example, you could eat more simply, rise with the sun, or bring more space to your days. You can simplify your home by de-cluttering or your work life by delegating. The New Moon on Monday is a great time to alter the course of your life by making small but significant changes to your everyday routines. : Psychosomatic illnesses are well known in the medical field; these cases of illness or mysterious symptoms for which there is no known cause might be a product of the patient’s imagination. Of course, the imagination is a powerful thing, as hypnosis proves, and we all need to be careful what we think lest we bring it to pass. This week, as Mercury aligns with the Sun in your health zone, be mindful of your thoughts and how they might affect your body. Anxious, worrisome thoughts will not do you any good. The best antidote to the restless energies of this week is to ground yourself and try to put things in perceptive. Libra: If you’re not sure about something, you’re at a crossroads (large or small), you have a niggling doubt, or you have a twinkle of a desire, the New Moon on Monday will make it much easier to listen and to know what you need to do. Whatever you feel on this date is probably right, so act on your impulses. However, you might have to determine the difference between a desire to be yourself and a reckless move. This New Moon is very much about self-expression, and it favors all forms of creativity, from writing and painting to music or dance. What’s important is that you give a voice to the feelings within you and find a way to express your true self. Scorpio: The New Moon in your domestic zone on February 4 is good news for your home life, and it is an ideal time to welcome change or even a new beginning. In some ways, this is as much about starting a new chapter as making changes to your home, but either way, the common factor is about leaving the past behind. Perhaps it’s time to get rid of the clutter and bring in some fresh energy to create an environment that nurtures you and enables you to go out into the world with greater confidence. Sagittarius: The New Moon on Monday promises a busy time with an increase in interactions with people such as friends, neighbors, relatives and so on. 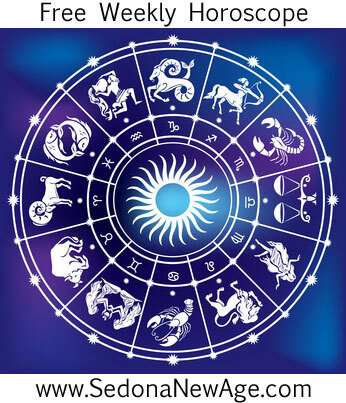 A good use of the New Moon is to start afresh in a relationship with one of these people or to develop an attitude that favors potential rather than cynicism or doubt. If you look for ways through a problem, you’ll likely find it. The New Moon also suggests that now is the time to get your message across, whether that’s through writing, teaching, or speaking. In other words, if there’s something you need to say, say it. Also, remember the value of listening as you might have so much to say that you forget others have a view as well. Capricorn: The New moon on Monday makes this the ideal week to ask for what you want – a favor, a pay raise, or a better deal for yourself. It’s the perfect opportunity to make some changes in your financial and material affairs to generate more of what you need. However, it’s also important to take time for pleasure in life, and the deeper message of this New Moon could be to slow down and smell the roses. Aquarius: Think about what you need to do to create a life that works for you, and then let it be known to the key people in your life. Don’t be afraid of being assertive; it may be that you’ve suppressed that quite a bit, and now is the time to let your real feelings be known. The New Moon on Monday will help you to generate new beginnings in your personal life as well as bring about a sense of regeneration. Pisces: While your energy levels may not be at their peak this week, your intuition certainly will be, so if you’re feeling a little lost or uncertain, allow your feelings or gut reactions to direct you. By listening to your wise inner voice, you will receive guidance as to what to do next, whether that’s doing nothing (sometimes we just need to rest, watch, and wait) or making some kind of decision. Financially, you will benefit from taking a revolutionary approach, so dare to be different and watch the dollars roll in. Sun 01° Taurus 13' 13"
Moon 29° Scorpio 24' 02"
Mercury 05° Aries 39' 38"
Venus 01° Aries 08' 52"
Mars 14° Gemini 03' 48"